The Rotary Youth Exchange is a world-wide program for high school students who want to experience culture abroad. There are short-term programs, which last a couple months, and long-term programs, which last a full school year. Daniel Guo, a Rotary Youth Exchange student from Taiwan, signed up for the long-term program and was accepted due to his academic success. The program opens before the next school year and it takes several months for qualified exchange students to prepare for this exchange. Although for every exchange student it is different, Guo arrived on Aug. 8 from National WuLing Senior High School to exchange to here. “At first I thought they would be cruel, but instead I found out they were extremely chill and respectful,” Guo said. There are many rewards for exchange students who participate in the Rotary Youth Exchange. The benefits include experience, learning from other cultures and improving your language skill. Although there is no academic reward for exchange students to join the program, it is a great opportunity for many well qualified participants and winners to experience this program. Guo leaves on July 7 to go back to Taoyuan, Taiwan, where he will complete his session. 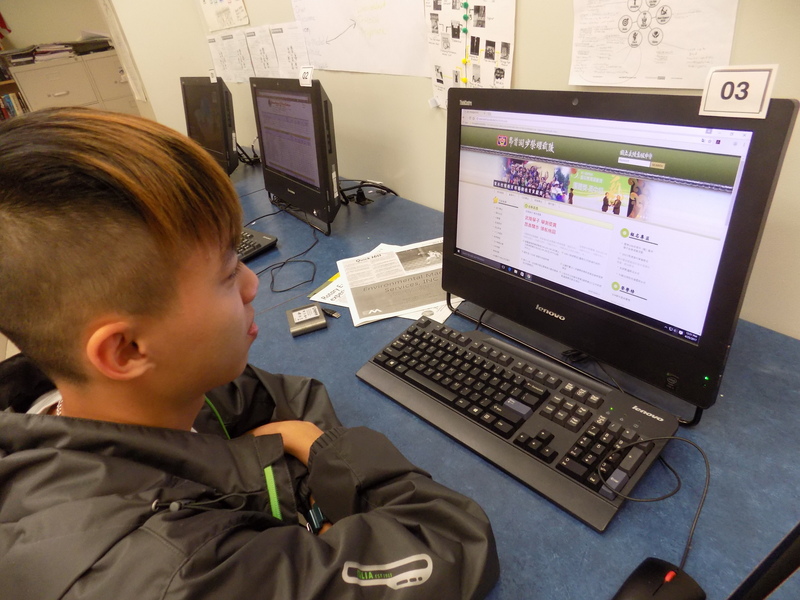 Daniel Guo, a Rotary Youth Exchange Student, looks at the Rotary Youth Exchange website. The Rotary Youth Exchange is a world-wide program that consists of short-term or long-term sessions providing exchanges the opportunity to learn and have a relaxing and academic experience abroad.